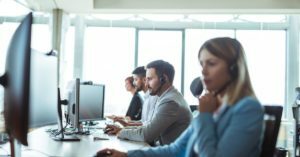 While use of IVR monitoring has been on the rise, there are many misconceptions about this service and what it can do which may lead companies to limit its potential. What’s more, IVRs are getting more complex with time, and while you may think you have IVR monitoring, you may, in fact, have server-level monitoring. Discover the many ways IVR monitoring is misunderstood down below. If you are currently using IVR monitoring in your business, can you control and observe your customer’s experience? Answering that question can be one of the first steps in determining what it is that you can and cannot do. And while it can be tempting to treat your monitoring like a web server or database server, it doesn’t work that way. Simply running your PBX software and checking if the software and server are up is just allowing for basic monitoring that gives you no insight into how your system is actually performing. Are you aware when error messages occur? Is the system not responding correctly? Answering these questions can play a crucial role in determining the customer experience with your IVR. And for those who do have more advanced monitoring, proof that your IVR is working as it should can’t be decided simply on checking that your databases are up or that your balance checks are fine. In fact, checking these things does not guarantee the quality of the experience. Yes, your IVR and menu might be working but in reality, you won’t know what the customer experience is like unless you actually get on the phone and dial in. You may discover that your audio is degraded which is something you wouldn’t have been able to detect with simple monitoring. It’s important to understand that there are a number of factors that go beyond determining if your IVR is working. Simple monitoring won’t do complex IVR systems justice. While some aspects of monitoring can be straightforward, IVR has become more complex, especially when you’re mixing telecom with a local server. At TelcoAlert, we can help. If you’re ready for a rich IVR monitoring experience, contact us. We provide features that can help ensure you’re monitoring your IVR correctly as well as monitoring how it’s performing at the customer level.